Yes, you did read that right. Maybe you remember that I made these as a muslin for my Barb pants. 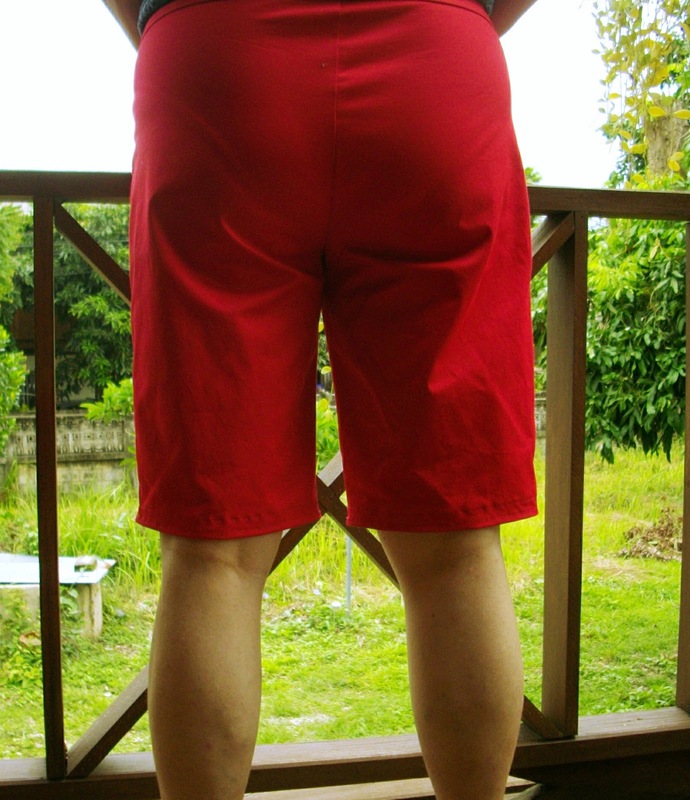 Well, it turns out that I don’t actually have much use for bright red shorts. 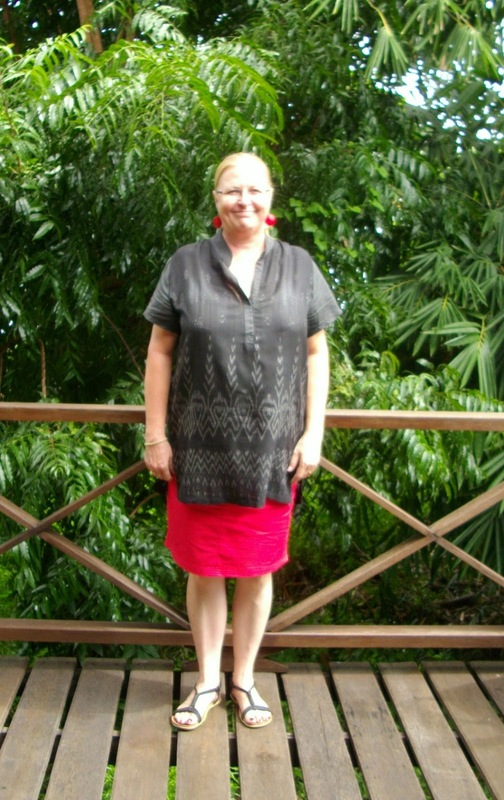 But it seems I do have a use for a bright red skirt. Although it looks bright pink and no amount of colour correcting works unless I’m bright green. So pink it is. To change this from shorts to a skirt, I simply drew a line from the fullest part of the front and back crotch curve to the original seam line at the hem. I left a short slit at the back for walking ease. So a quick and easy alteration and a new favourite skirt. 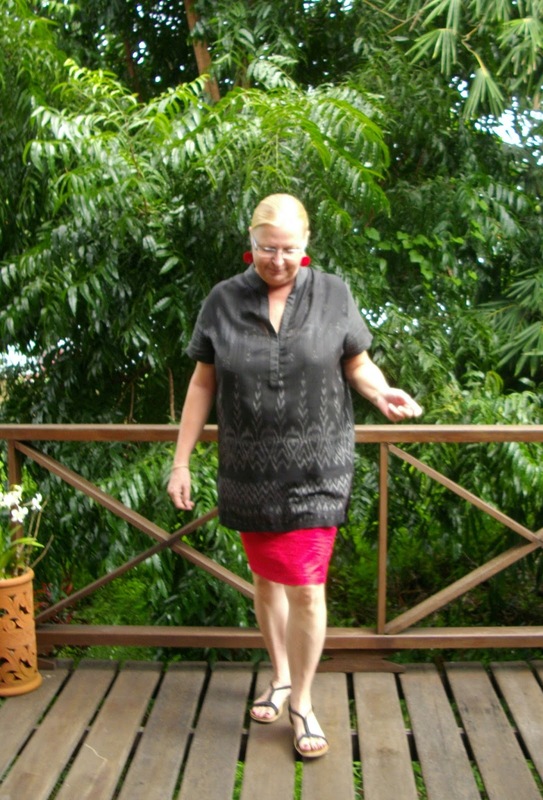 It also works well with the Black Thai Affair tunic which had been a bit of an orphan because its length makes it slightly difficult to pair up. I can definitely see more Barb skirts in the future. Great change. I love straight skirts and know I'd get more wear out of a red skirt than shorts at the moment. Thanks. I'm not sure why the skirt works so much better than shorts (I do wear shorts a lot) but it does. Thanks. It's a small change but a big difference.